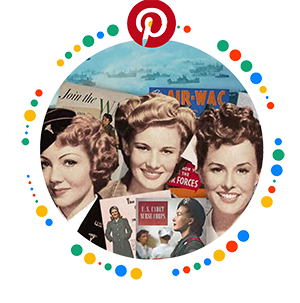 The 1940’s, despite a world war, saw a huge leap in women’s use of daily cosmetics. If ever there was a decade for lipsticks then this was it. 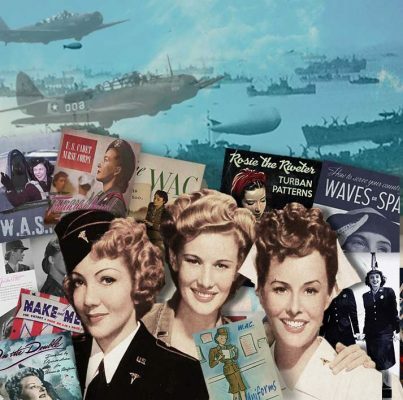 With more and more women working on the home front and as army nurses, the convenience of the roll up lipstick – rather than a brush and palette, established the lipstick tube, once and for all ,as the main cosmetic accessory to have in your handbag. 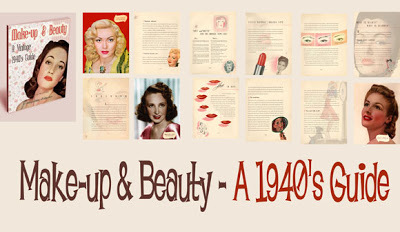 Besame Cosmetic’s Gabriela Hernandez writes in her recent superb History of Cosmetics that “Lipsticks in the 1940’s were one of the first products to use its cartons to advertise the product, with lipstick packaging designed to stand out!” Well they attracted 1940’s women to the make-up counters like bees to honey. The color of choice was red ! Deep reds, brick reds, light reds,orchid reds, apple reds, plush reds, raspberry reds – whatever your personal choice to suit your color type – the objective was to be luscious and loud! 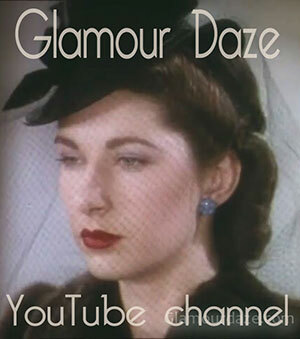 The delicate bow lip styles of the 1930s were replaced by full lips, with ” the top lip slightly overdrawn, creating a full lip.” A small lip brush was still kept handy to add some definition and evening glamor. For women across Europe, often in cities that faced daily bombings, this little accessory helped her keep her sanity! 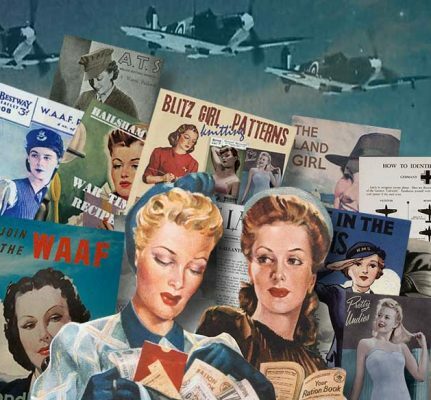 Women during the war went to town on their hair and make-up, as ‘ready to wear’ clothing and new fabrics were so hard to come with rationing. 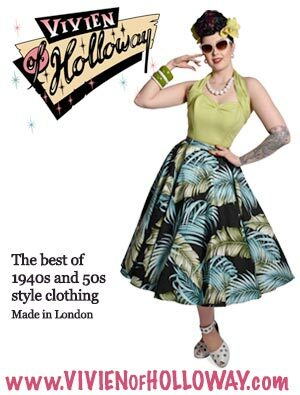 London stylist Fiona Huntingford describes how she looked like her Granny in her 1940’s dress, upon dabbing on that all important 1940s style red lipstick – which was not her usual color. 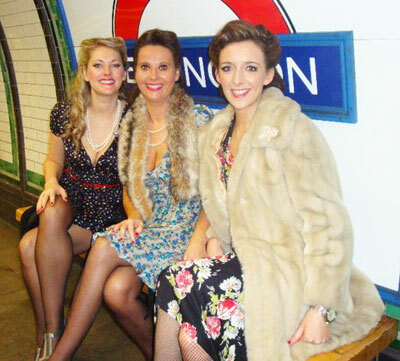 Fiona heading out 1940’s style with her friends on the London Tube to the Blitz Party. 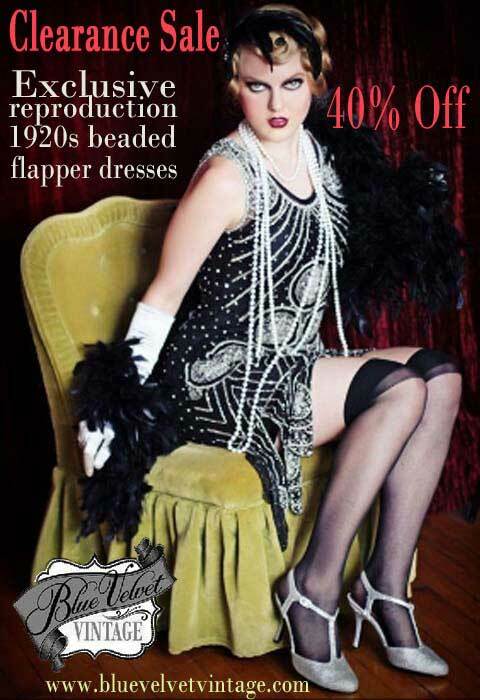 You’re heading to a 1940’s party. 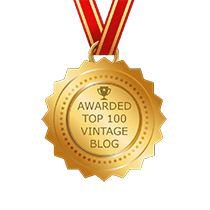 You’ve perfected your victory roll, donned the perfect 1940’s wardrobe – shoulder padded dress and pretty wedge shoes; you’ve even splashed out on posh 1940’s style seamed stockings – which will inevitably be in shreds before the evening is finished. Now the final touch is the lips. 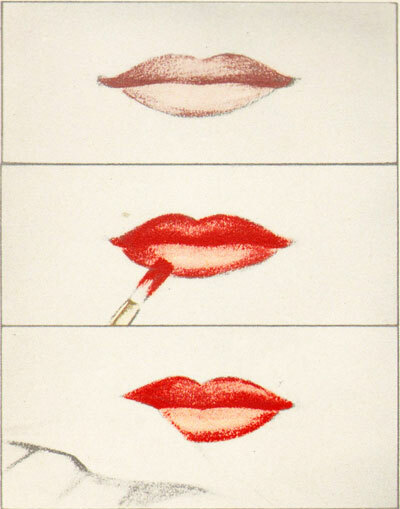 And now a vintage lip makeup tutorial from 1948. 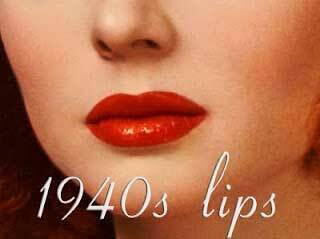 1940’s Make-up Guide – The Secret to beautiful 1940’s style Lips. 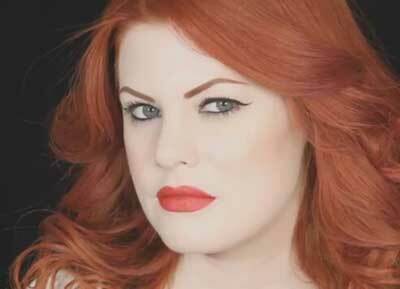 ‘How you apply your lip rouge often determines the artistry of your completed make-up. 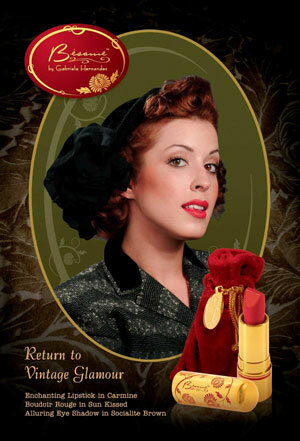 If your lips are lovely, they should be clearly outlined with a lipstick. 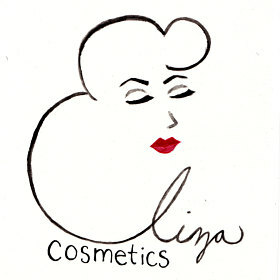 If they need improvement – they can be more prettily shaped with a lip brush. Do learn to use one properly. The smooth, clear outline a brush imparts is worth all the trouble it takes to learn how it is done. It isn’t easy – and hurry is almost always fatal to the performance but with a little practice you should get the knack. And be really glad you did. 1. First dab a bit of cleansing cream on your lips and wipe all coloring from them with a tissue. Next, powder the area lightly. Then, rub your brush into your lipstick, and beginning at the outer corner of the upper lip, draw a line, slightly above the natural lip line, toward the center. Repeat the process from the opposite corner. Carefully outline the lower lip likewise, and fill in both upper and lower outlines with color. be sure that you’ve drawn clear to the corners of both lips, and to do this, your mouth must be ‘slightly open’ during the process – remember this! 2. In applying lip rouge, the new rage is ‘full lips’! 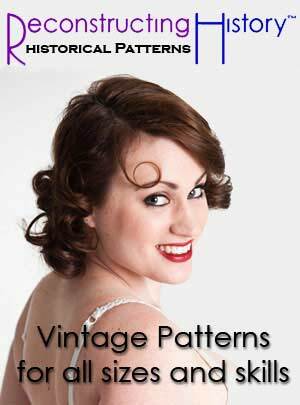 You needn’t think you have to follow the natural line unless your lips suit you perfectly. You should experiment with ” new mouths”. Often, by putting the fullness of your lips in a slightly altered position, you discover a different facial expression …’ one which may improve the “balance” of your face.